For purchases, you can either pay the premium price individually, or you can opt for the subscription option and get all the items on the site for only $19/month. Obviously, you can just download the free items right away. 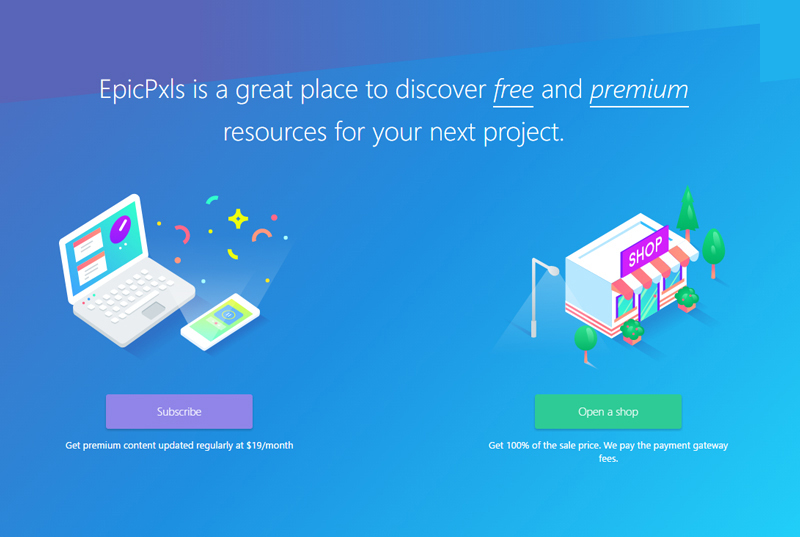 For the Designer Daily readers who actively design templates, font, or other design resources, you can also start selling on EpicPxls. 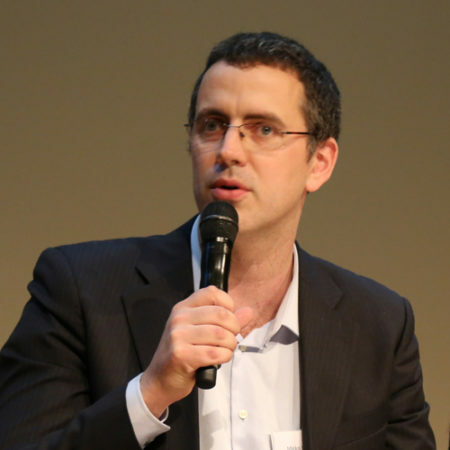 Their selling program is particularly attractive, as they have no exclusivity lock-in, let you set your own prices, and take a reasonable commission. In fact, while in Beta, they even let the sellers keep 100% of the sale price. Built with Fontself, this colored font is geometric sans serif that follow strict construction guidelines: magenta for straight lines, aquamarine for circles, and yellow for curbed lines. 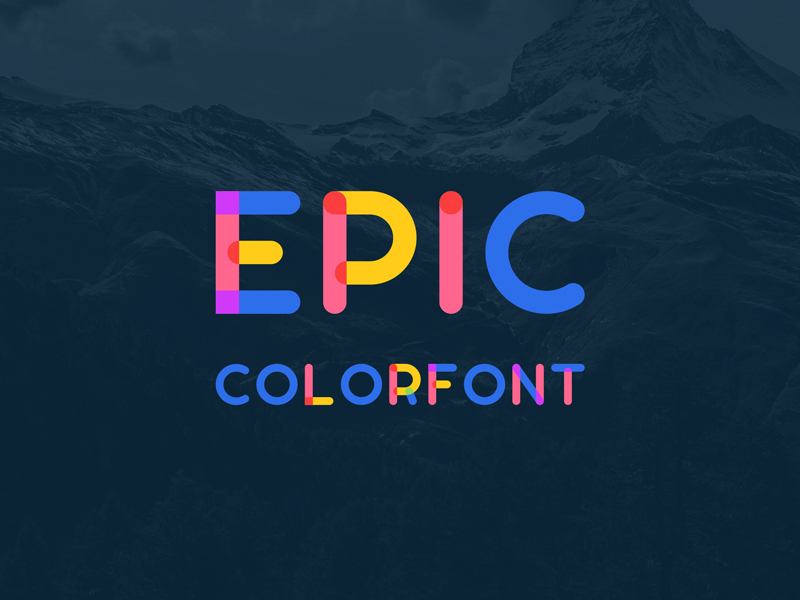 Perfect for logo or poster design, this font will brighten up your layouts. A complete UI kit to be used to build apps easily. Just mix the components to create designs that are both gorgeous and efficient. 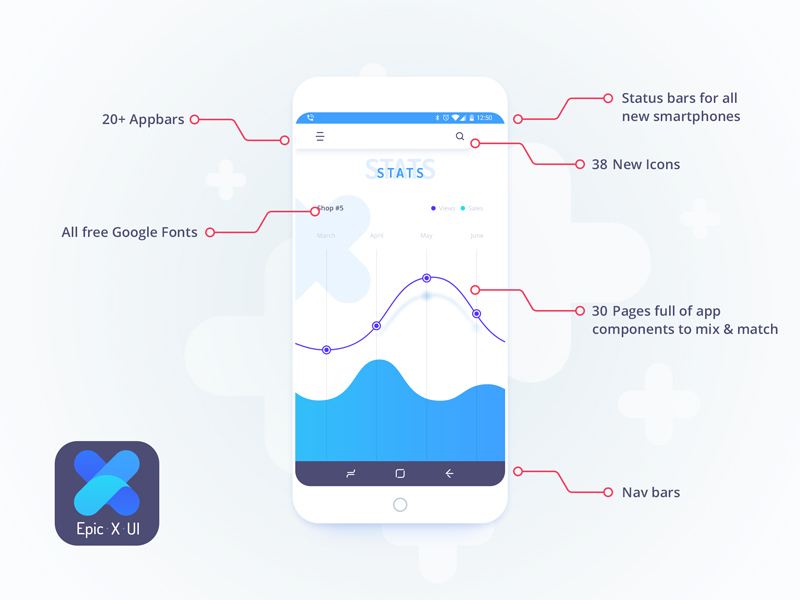 The UI kit contains 22 app bars, 38 new custom icons, 36 status icons for all new smartphones and 30 ready-made app screens full of UI elements. All elements are vectorial and maintain full editing capabilities. 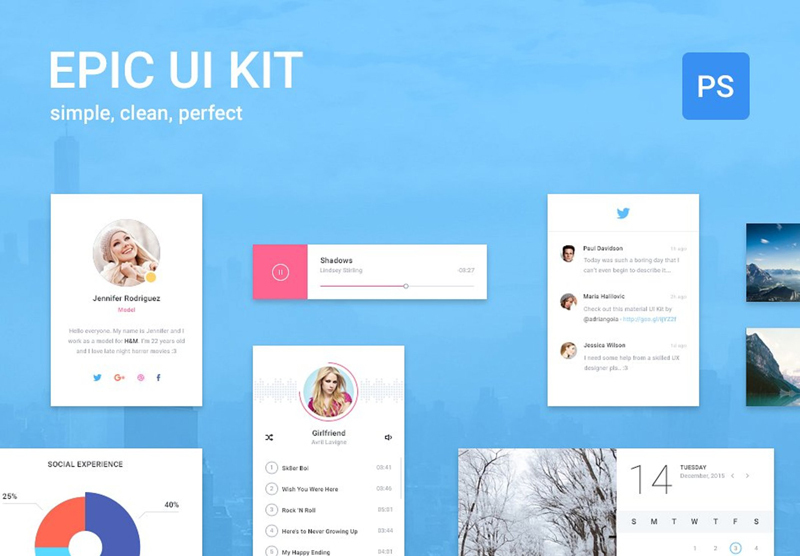 Made up of 118 items divided in 9 categories, the Epic UI Kit allows you to build clean and modern apps and websites. Everything is vector-based, so you can just customize whatever you’d like. It does take care of elements that are often time-consuming if you want to design them on your own, like e-commerce, galleries, or cart designs. Thanks to the use of Bootstrap 3 variables SASS, the code can be used as a simple bootstrap theme without adding any of the special elements created. 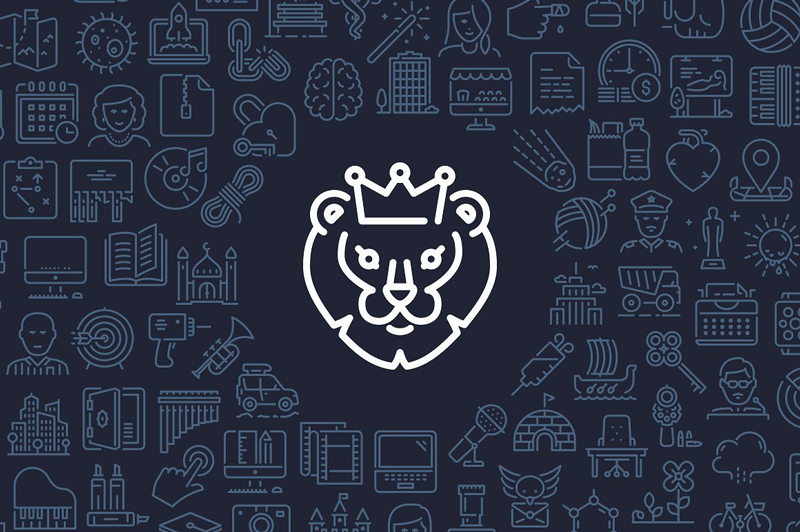 A gorgeous set of line-based icons, or should we say the king of line icons? Rich in details, the icons will blend perfectly into your next project. However, if you’d like something more feminine, just take a look at LineQueen. 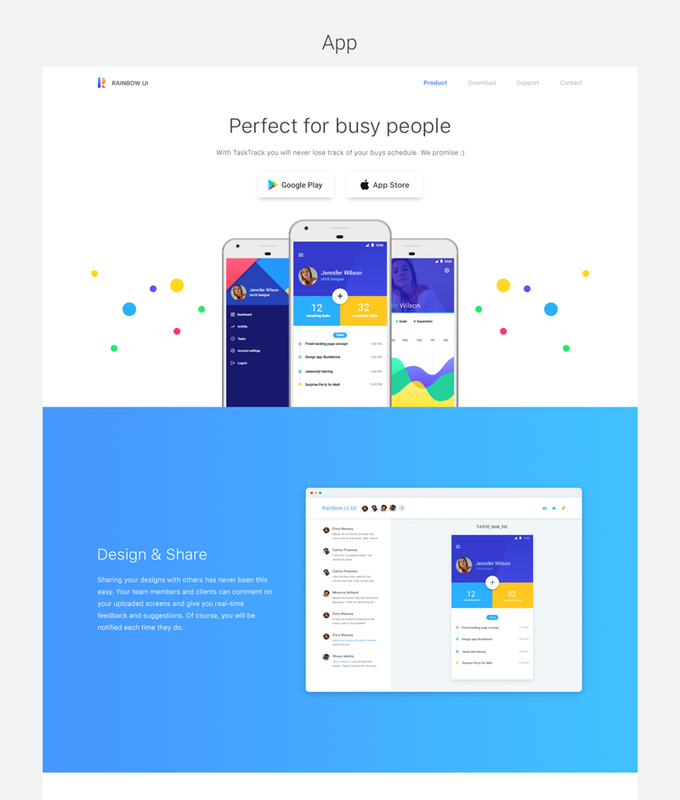 UI designers enjoy working with Sketch (or Photoshop), so EpicPxl had the good idea to provide them with a stylish and modern UI kit cafted to build awesome landing page quickly. Built using vector-based elements and a bootstrap grid, the Epic Rainbow UI kit lets you design stunning interfaces by just moving blocks around. 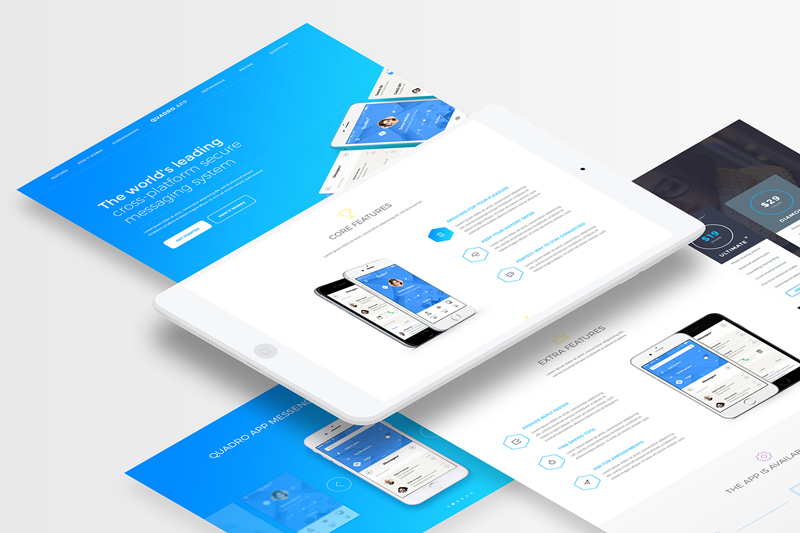 If you need a landing page for a mobile app, this PSD Template will make your day. This trendy and modern design includes two PSD files that give you two different hero styles. 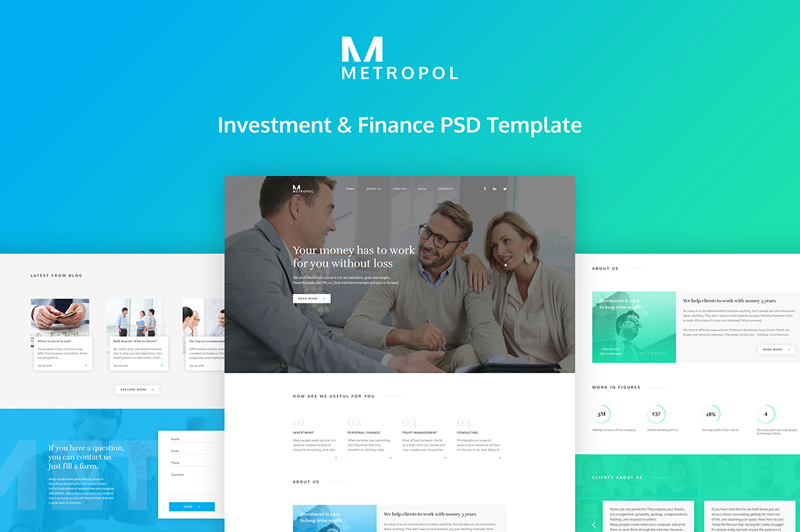 A clean and trendy corporate PSD template designed in two colors: blue and green. 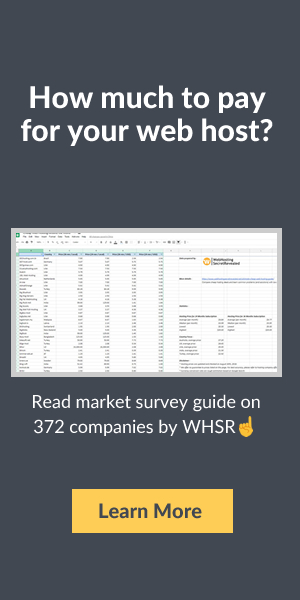 Use it for any finance or business related website design. It includes 12 PSD files, with a main page and 5 inner pages.